My mom’s favorite album was Rubber Soul. She played it on an old turntable over and over again. By the time I was ten, “Drive My Car” and “Michelle” were firmly established earworms. By the time I went off to high school, all but three of the fifteen cassettes in my music briefcase were from the Beatles. * I was obsessed with the Fab Four. 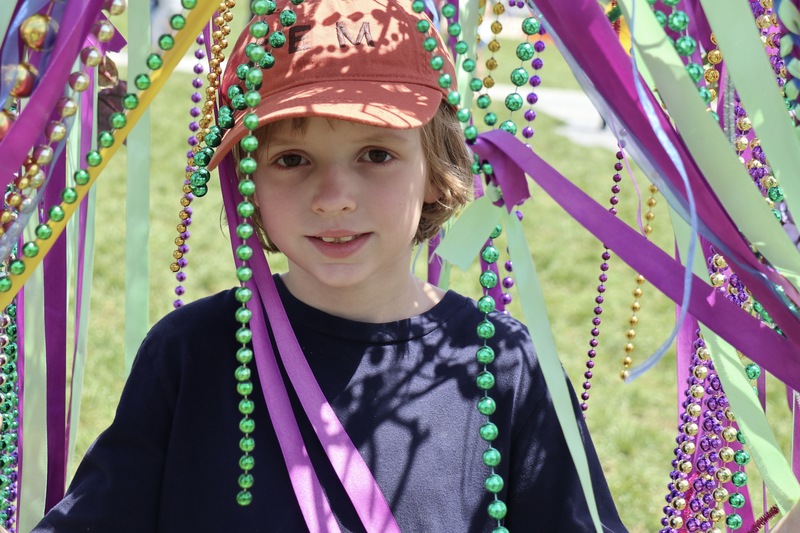 When I decided to take my eight-year-old nephew to Jazz Fest this year, I thought to myself, Maybe this could be his Rubber Soul moment. 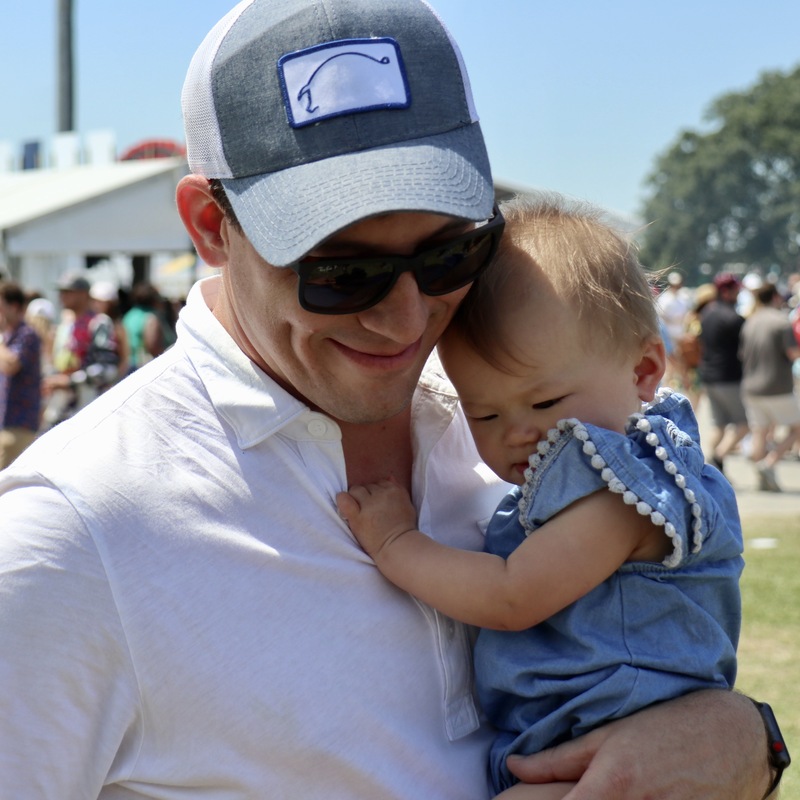 Maybe at the Fairgrounds, he’ll fall in love with music. As we approached the gate, my nephew excitedly asked, “Do they have a roller coaster?” This wasn’t exactly a good sign. It wasn’t exactly the “rubber” I had in mind. The kids’ area rocks! 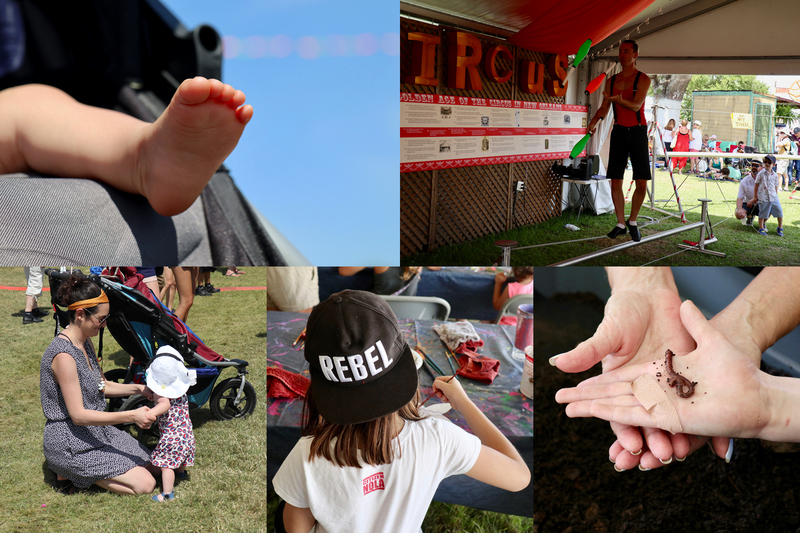 According to one of the many parents I ran into there, “We go to a lot of festivals. Most have a kids’ tent. Jazz Fest has a kids’ village! And, they’ve thought of just about everything–all the way down to the amount of sugar to put in the lemonade.” Because of this, we spent about a third of our time there. We watched a school band, we handled crawfish and earthworms, and we played in/on a musical tree house. It’s not just about the music, silly goose. My niece and nephew weren’t exactly roller coastered over by the lineup. (If only The Wiggles had performed?!) But, fortunately for me, there were other youthful diversions. 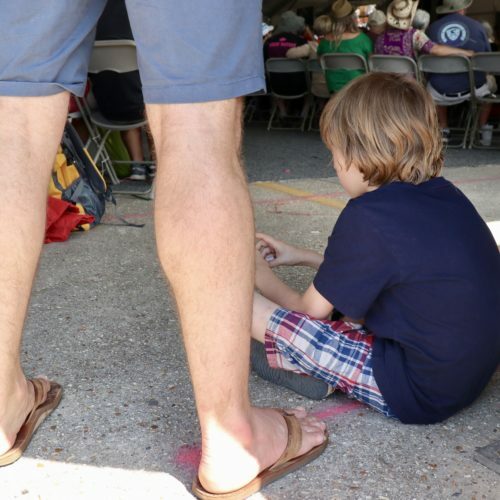 Greyson liked the pirogue building demonstration, the circus arts performers, and some of the crafts, especially the homemade knives, big bug pictures, and a wooden kaleidoscope. Of course, he also enjoyed the snacks. Author’s confession: Being the fun-loving uncle and not the conscientious parent, I allowed my nephew to have whatever he wanted. He ordered a cupcake, a snowball, a cookie, chocolate-covered gummy worms and some Gatorade. According to his mother, he didn’t come down from the sugar rush until the following Tuesday! People at the Fest are focused. My nephew is cute, but his cousin, Ansley, is outrageously adorable. I expected people to fawn all over them like puppies or koalas. They’ll be more popular than even Rod Stewart, I thought. But, alas, they were not. (If you were near the Acura Stage the first Saturday afternoon, you know what I’m talking about.) People ignored them, just like they ignored me. Festers are focused on two things: food and music. The only thing that occasionally competes is a blue Port-O-Let. It wears them (and you) out. Like a daiquiri (which, thankfully, they serve by the way), the festival is deceptively intoxicating. It stimulates – and eventually exhausts – all of your senses. 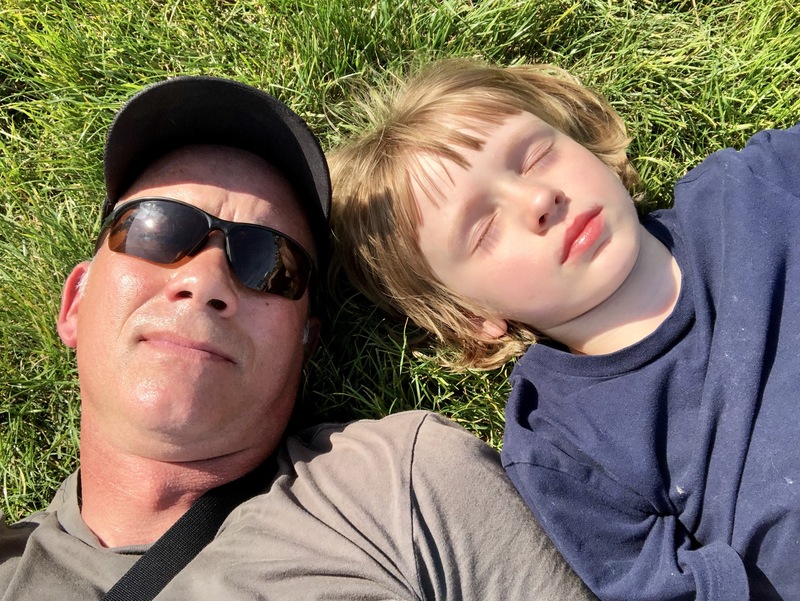 By five o’clock, Greyson and I were spent. We found a cool patch of untrodden grass and splayed out like a couple of walruses on the beach. Mission accomplished! He looked at me a bit disappointedly, and proceeded to question people in the crowd. As he did, a twenty-dollar bill slipped from a man’s pocket, and he leaned over to pick it up. “I think you dropped this as well,” said Greyson, handing the man the dollar. The smile on Greyson’s face was as moving as the music from Rubber Soul. * The other three albums were Moondance by Van Morrison, Reggatta de Blanc by The Police, and The B-52’s by The B-52’s. I later would discover Bob Dylan, New Orleans R&B and the Buena Vista Social Club.